Vlade Divac's basketball career has lasted without interruption for 25 years. The Gallery of the Museum are exposed photos that are recorded some of the most important moments in this period: the beginning in Prijepolje, maturing in Kraljevo, the first major successes in Belgrade, who took him to the world's greatest teams and the United States. In addition to photos and videos in the gallery are exposed and medals that accompanied his achievements: gold, silver and bronze medals, trophies, cups, and as a special curiosity, sports equipment, in which he played. The idea of marking the end of his basketball career large multimedia project, within Koegel order to prepare the exhibition, first emerged in 1995, after winning the gold medal at the European Championships in Athens. 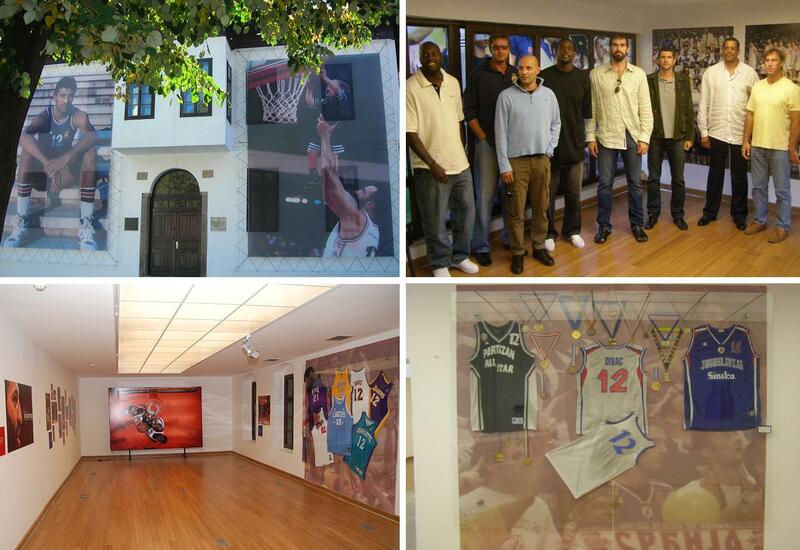 Under the auspices of the Museum in Prijepolje, according to the project's author Slavoljub Pusica, who organized the exhibition, as well as the ceremonial reception, with Vlade Divac, a great basketball legend in his hometown, where it began, said goodbye to basketball. For the first time in the history of professional sports, a mega star celebrated his athletic career museum exhibition. This, as it's called "planetary event" is not only a sport, but also a cultural event, a city where he was born Vlade Divac, thanks to him, that day became the center of the world. The presence of well-known NBA players - Chris Webber, Scott Pollard, Glen Rice, Sarunas Marčuljonis, Toni Kukoc, and teammates from the national team - Danilović, Djordjevic, Paspalj, Savic, Bodiroga and renowned coach Gregg Popovich of the NBA and Serbia coach Dusan Ivkovic confirmed that Vlade Divac was and remains the most respected Serb in the world. Huge public interest in the forgiveness of Vlade Divac from his basketball career is evidence of gratitude, respect and support the legendary Government. Great credit in basketball, but also a proven patriotism and humanism, put it in the most significant personalities of our time. Slavoljub Pusica, author of the project.